Have you ever been to an Oscar Party? Since I was a little girl, I have been obsessed with Oscar Night. It’s a magical evening for me filled with celebrities who are elegantly coiffed and hopeful that they will be the ones to take home that prized golden statuette. The anticipation of a win on the faces of the nominees as the envelope is opened with the presenter saying, “and the Oscar goes to….” always thrilled me. I have loved all the glitz and glam and still do. I have never missed Oscar night! For the last 18 years, I have been hosting my own “Ladies Only” Oscar Party. 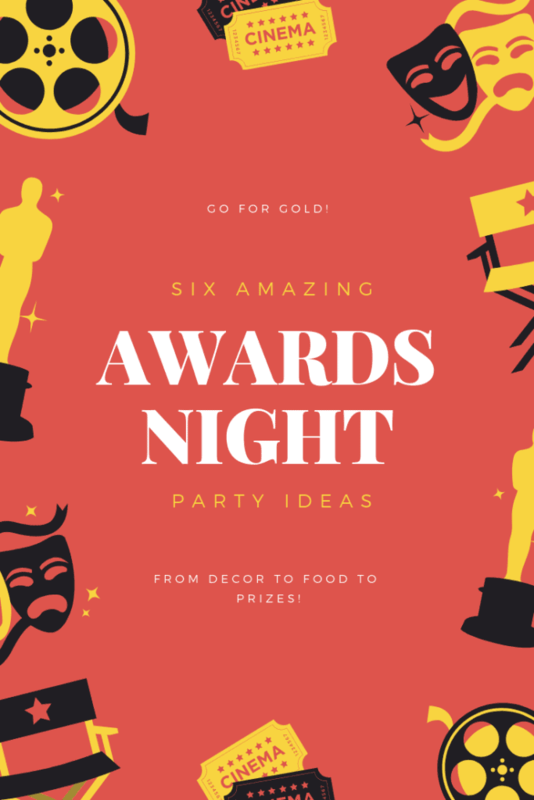 I have collected Oscar-themed decor, recipes, and ideas along the way. Here are just a few of my favorite things I have done in the past, and each year I try to add some new ideas to keep this fun evening fresh! Whether it be mailed or electronic, this invitation should reflect that an extraordinary evening is in store for your guests. There are so many designs online to choose from, be it an Evite, ready-made or something more elegant from an online stationery store. Make it as formal or as relaxed as you desire and include any other details or instructions your guests may need to know about the evening. Be sure to indicate attire on your invite. As far as the details of the evening, I would suggest that your start time be at least two hours before air time. Not everyone arrives on time, so this gives your guests the luxury to settle in before the show airs. You may want to host a dinner party or pot luck. My decor is “casual elegance with a little bling.” You may want to serve burgers and hot dogs from the grill and make it a family event. No rules here, do it your way. There are so many options online and at your local party store for Oscar decor. Decide how formal or informal you intend the evening to be. 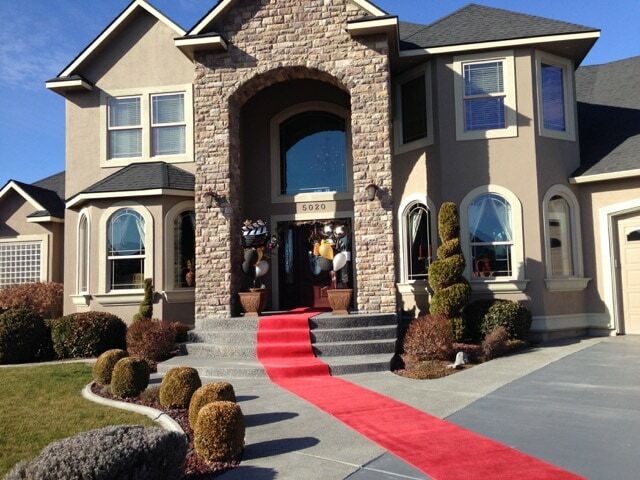 Because I love all the glitz and glam, every year I literally roll out the red carpet from the front door. Upon arrival, your guests will already be excited. Add some ropes and stanchions for this grand entrance. 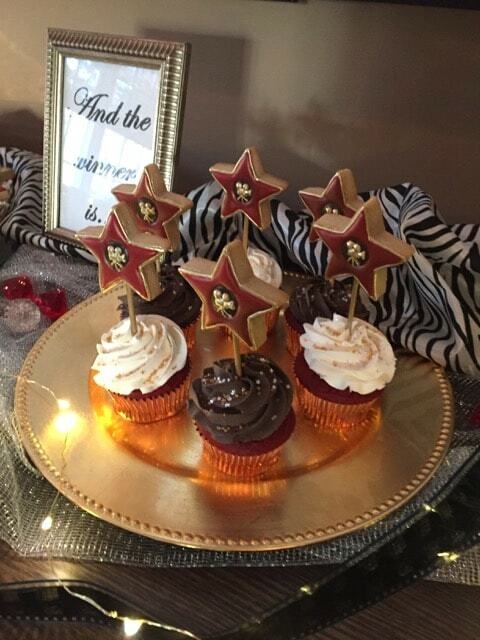 I love to theme my party with red, black and gold accented decorations. 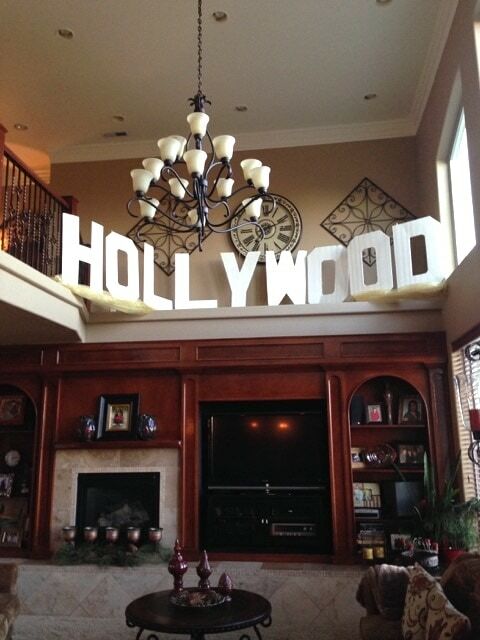 Life-sized cardboard standups, statuettes, movie stills, signage, balloons and anything else you could possibly want for decorations can be found on Amazon. They even have an Oscar Party kit. You be you and decorate accordingly. There are many menu options for your guests to enjoy and this all depends on how much or how little work you want to do. Presentation is everything and your table sets the tone for the evening and makes your guests feel special. Flowers, linens, signage and themed decor are perfect additions to your table. Create a specialty drink. Come up with a clever name for the beverage, the name of an Oscar-nominated actor or actress or best picture nominee perhaps. 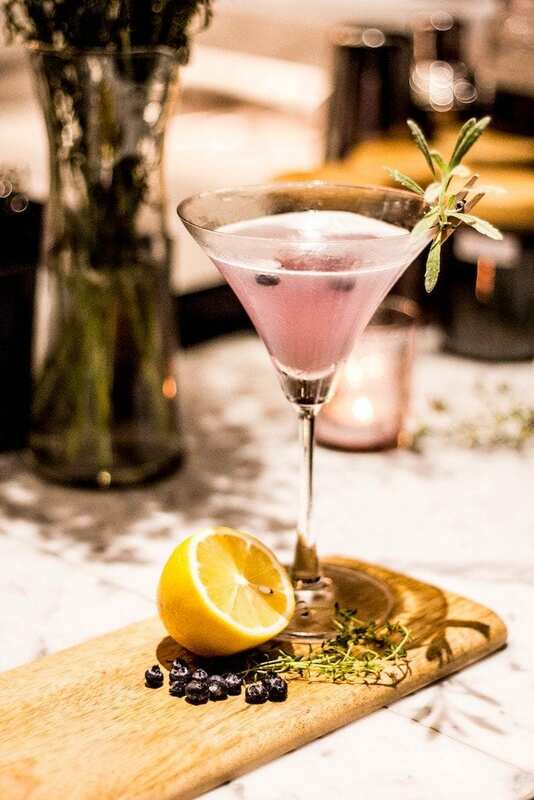 I create different concoctions every year and serve them in beautiful stemware. For the main menu, I typically present a wide variety of heavy hors-d’oeuvres. 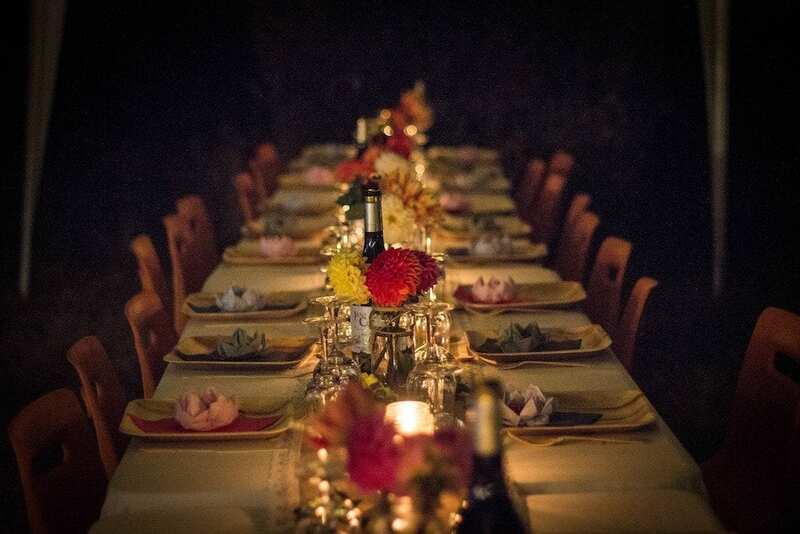 Depending on guest count, you may want to have a seated dinner party. I have had as many as 30 guests and as little as 8. 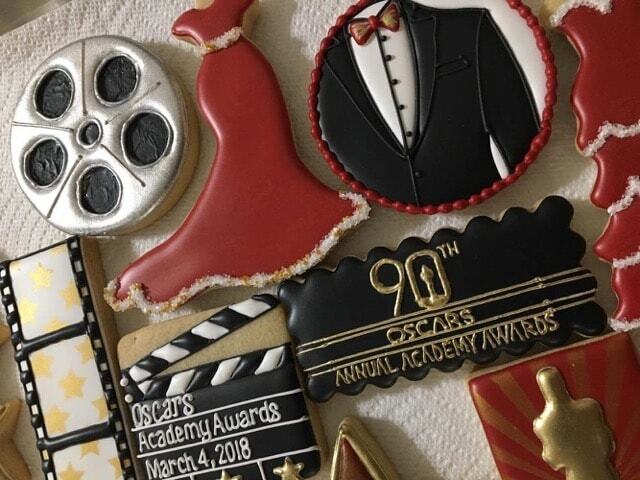 For dessert, have fun making or ordering something Oscar-themed. Cake pops and cookies are always a big hit. Make your own and easily decorate them, or order from your local bakery. Cupcakes are always a perfect dessert, as well, and this cupcake holder is perfect! 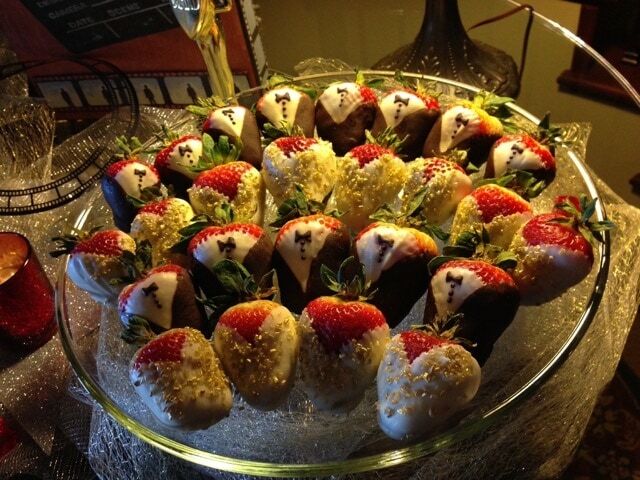 These strawberries were also really popular. Aren’t they sweet? 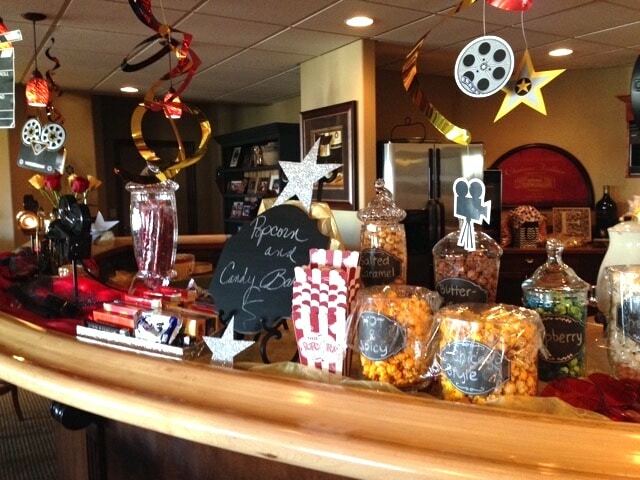 I also set up a candy and gourmet popcorn bar to assimilate a concession stand at the movie theater. This really adds to the decor of the party, too. Make your predictions with the 2019 Oscar ballot contest. Have your guests fill out the ballots upon their arrival to the party, before the show begins. Throughout the evening, each guest keeps track of the awards presented for each Oscar category on their sheet. The guest with the most correct picks wins a prize. You could also test your skill and luck with Oscar Bingo. Playing Bingo requires everyone to pay a bit more attention to the show as they will be looking for specific details that occur throughout the evening to attain Bingo. You will probably be able to find a 2019 Bingo version in the coming days. You could also play Name that Oscar Host, or have guests fill in this fun Mad Lib Oscar Party game. These are all free printables and great options to make the evening interactive. As a twist, I also give a prize to the biggest loser! The winners will walk away with something memorable, beautifully wrapped in your theme colors. The possibilities are endless when you get creative! 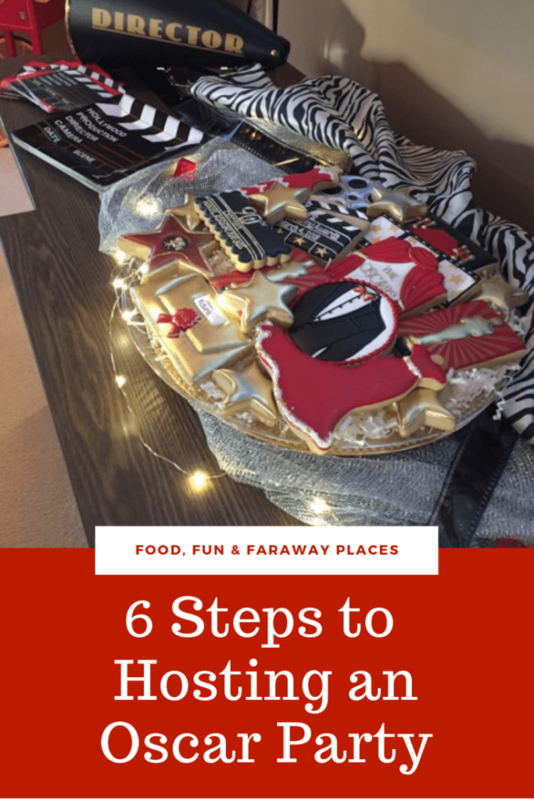 You will be amazed how competitive your guests are to go home as winners! As your guests leave, after what will surely be a long evening, hand out some swag bags filled with a few goodies of your choosing. You could fill bags with movie-themed chocolates, play sunglasses, or maybe a Marilyn Monroe inspired tin. Your guests will be talking about this night for a long time and will definitely be hoping for an invitation to next year’s Oscar party! Have you taken a look at the Oscar nominees yet? Who are your favorites? I’ve been so busy I have some catching up to do! 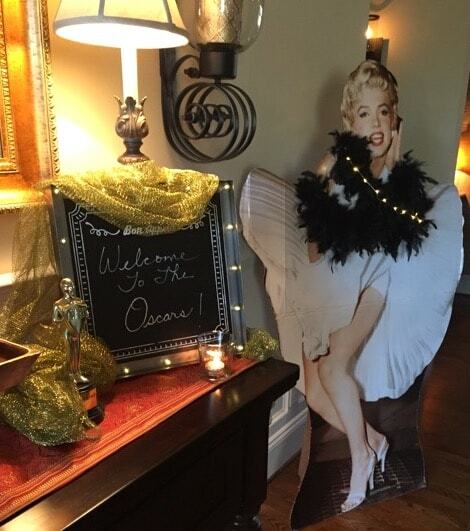 Have you ever hosted an Oscar Party? Share your best tip in the comments!